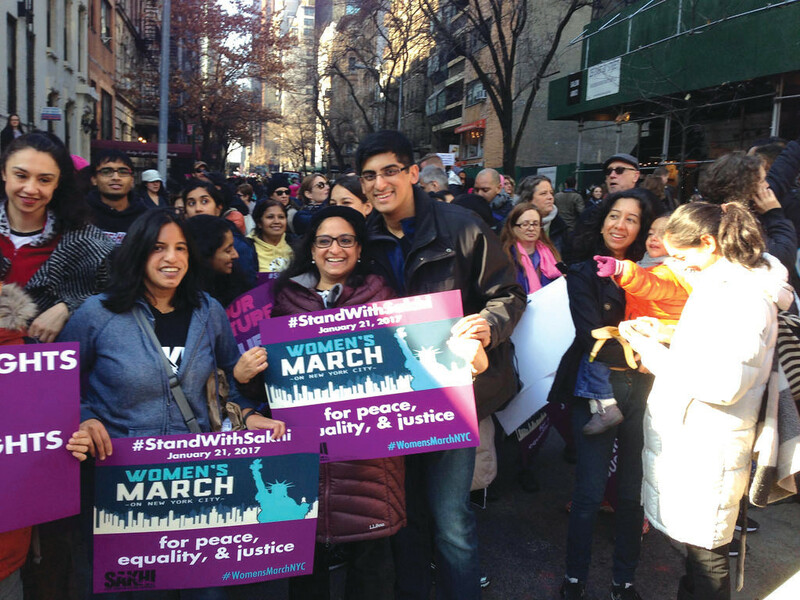 A contingent from Sakhi for South Asian Women at the Women’s March on NYC, Jan. 21. 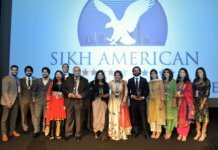 Sakhi for South Asian Women is an anti-domestic violence organization that works with the South Asian community in the New York metropolitan area. Hundreds of thousands of people of diverse races, ethnicities, and backgrounds and ages filled the streets of midtown Manhattan, marching from the United Nations headquarters along 42nd Street and up Fifth Avenue in solidarity with the Women’s March on Washington. According to a statement from the Mayor’s office, more than 400,000 people participated in the march Jan. 21, while organizers of the Women’s March on NYC put the tally closer to 600,000. A record number of 670 marches were held on Jan 21 in 50 states of the U.S. and 32 countries, delivering a single message of humanity. Signs throughout the crowd bore messages including “we the people are greater than fear” and “women’s rights are human rights”. 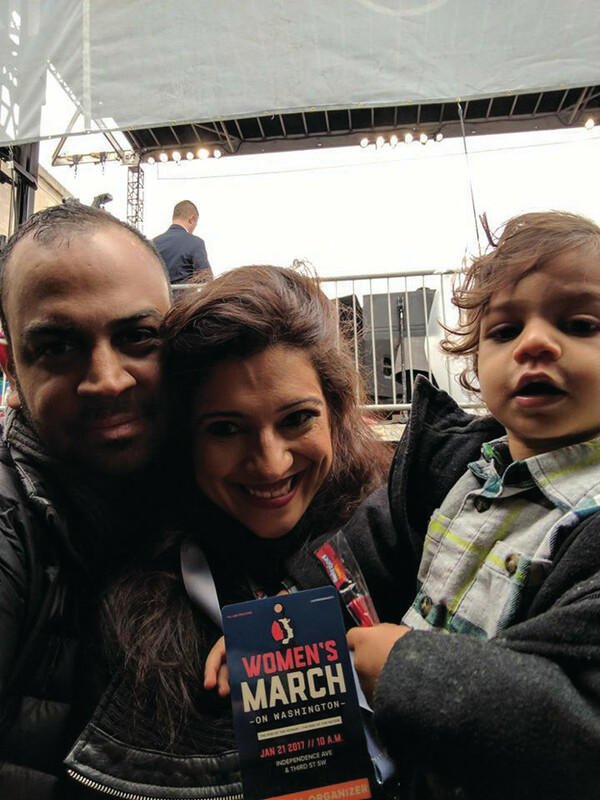 New York City-based Reshma Saujani, founder and CEO of Girls Who Code, a national non-profit organization working to close the gender gap in technology, with her family at the march in Washington, D.C. Protesters rallied in and around Dag Hammarskjold Plaza, with Manhattan Borough President Gale Brewer telling the crowd, “We don’t like that guy in the White House … we are not kidding,” AM New York reported. 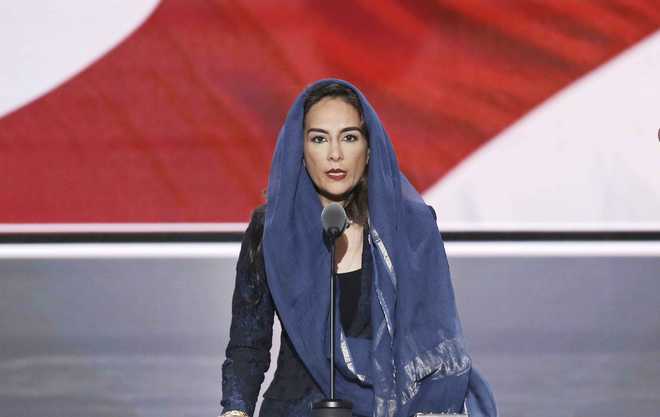 Other politicians and celebrities who spoke included the city’s first lady, Chirlane McCray, Rep. Carolyn Maloney (D-Manhattan), and city Comptroller Scott Stringer, as well as actresses Cynthia Nixon, Whoopi Goldberg and Helen Mirren. Marchers had planned to take their rally cries — messages on signs included “I’m here for my future” and “love trumps hate” — to the doors of Trump Tower, but police stopped them south of the building on East 55th Street, the AM New York report said. 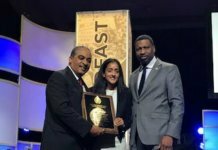 Parul Patel of Chatham, New Jersey, told Desi Talk that she had never participated in a march or a protest where a statement was being made. Calling the march an “incredible” experience, Patel told Desi Talk that inspite of the magnitude, the march was held in a “peaceful and civilized way.” The march, coordinated at a global level, made a powerful statement, she said.